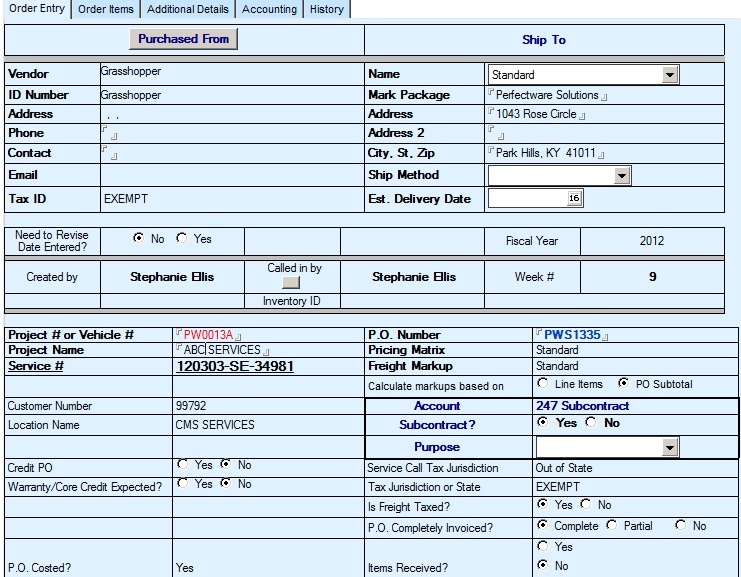 Purchase order tracking and allocation of costs is easy in Perfectware. Purchase orders are generated directly from the work order necessitating a cost generated action – from this point forward the PO is linked to the work order and costs are accurately allocated to the invoice, contract or project that generated the work order. Perfectware developers, with the help and guidance of our users, has also created graphic tools to allow for “Management by Exception” of open PO’s. Costs allocated to a job through the PO issuance process becomes easy to manage through Perfectware. Best Practices in dispatching and PO allocation are reinforced through the Perfectware process driving strong cost control s and allowing for higher margins. Management tools have been developed so that the management team can gain a fast overview of open costs pending in your organization. The standard drill down capability in our reports allows you to quickly resolve all open PO’s that result in questions. Have the items been received? Did you bill your customer for it? Did the vendor invoice you? Interfaces with many Accounting Software Programs. Electronic PO documents allow notes to be added and the attaching important documents, like vendor quotes.